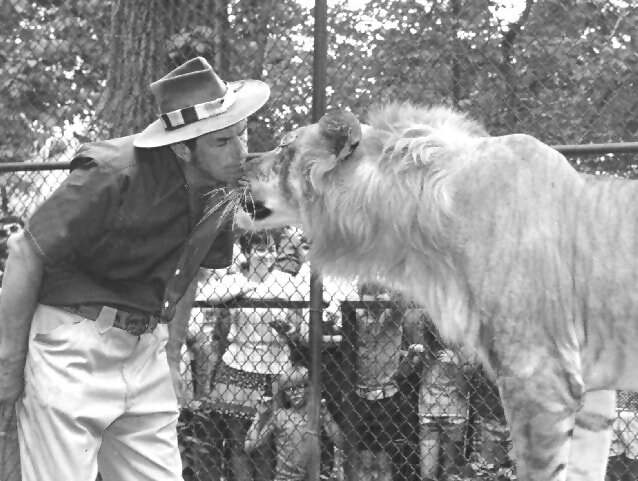 In the late 1960s, Larry noticed one his lioness Princess and tiger Rajah were showing more than a passing interest in each other. After an introduction, the two proved quite compatible. Larry with the tiger and lion parents of the tiglons. 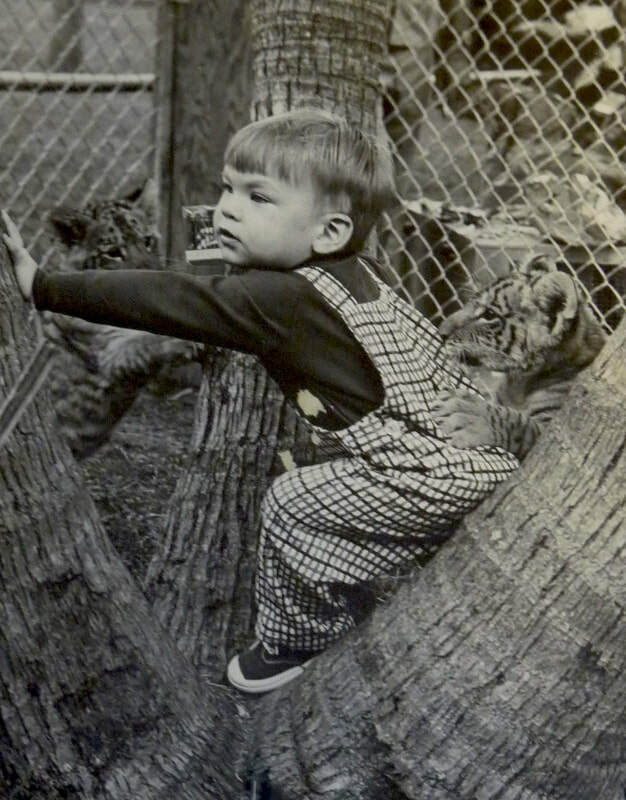 ​On September 21, 1969, Princess gave birth to triplet "tiglons" - cubs that were half tiger and half lion. 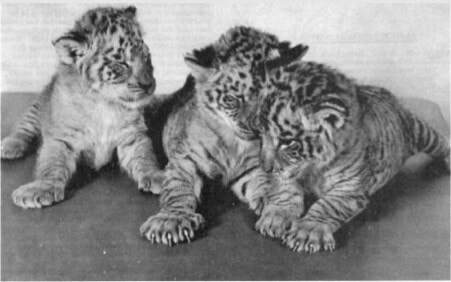 Two males and a female, Sultan, Rajah, and Maharani rapidly became famous on regional and national media. Film that Larry shot of the cubs was shown on NBC's Today Show and they even made an appearance with Florida Governor Claude Kirk (below). As they matured, the two males needed to be separated. Maharani preferred Rajah and the two lived out their lives together. 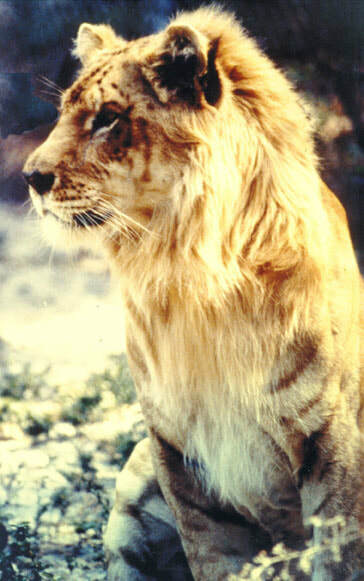 The tiglons lived long lives and passed away in the Naples gardens in the 1980s and 90s. Maharani lived to 18 and her brothers,Rajah and Sultan, lived over 21 years. 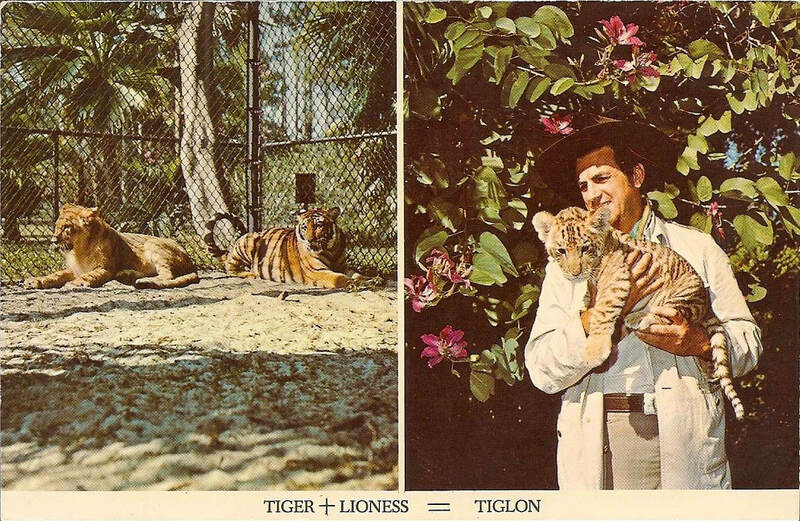 A postcard shows the parents of the tiglons and Larry with one of the cubs. Nancy with the triplet tiglons. Larry and Nancy with sons David (left) and Tim and their pet standard poodle with the tiglon triplets at their home on Ketch Drive in the Moorings in Naples. 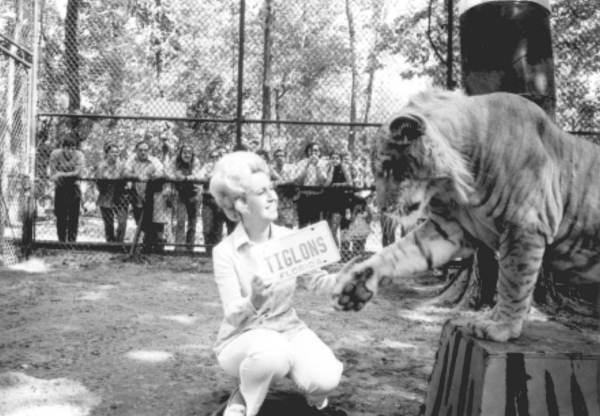 Larry and Nancy with Sultan, one of the triplet tiglons. with light stripes showing their tiger genetics. Nancy shares their custom license plate with the tiglon, Sultan. While the Tetzlaffs' tiglons became some of the most famous hybrid cats, they were not the first or last. Records mentioning crosses of these two species date back centuries. The above 1890s photo from Carl Hagenbeck's Tierpark in Hamburg, Germany shows the parents of their crossbreeds living together. 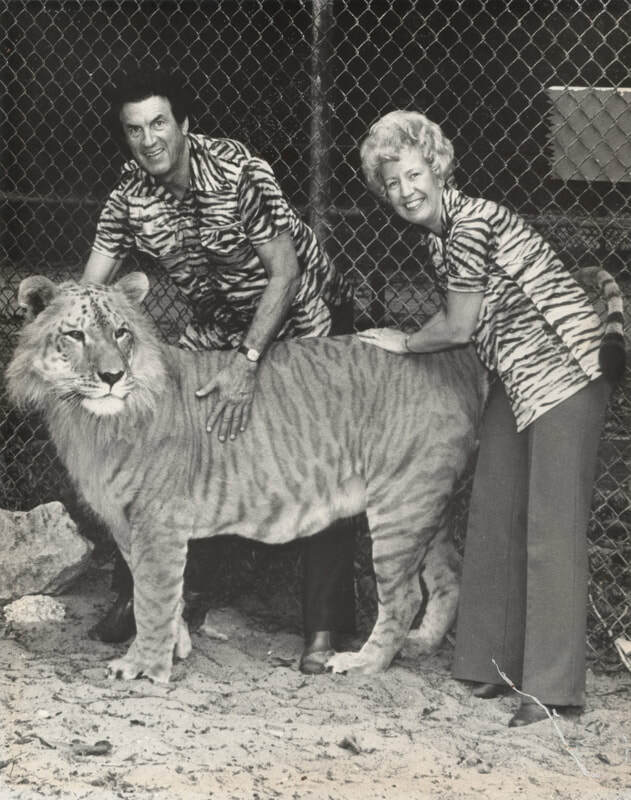 Nevertheless, this distinctive trio became some of the most memorable of animals for visitors to Jungle Larry's Safari in both Cedar Point and Naples. In today's much changed world, the Tetzlaffs would not repeat this cross breeding. At the time, the need for breeding for conservation of purebred species was still in its infancy. 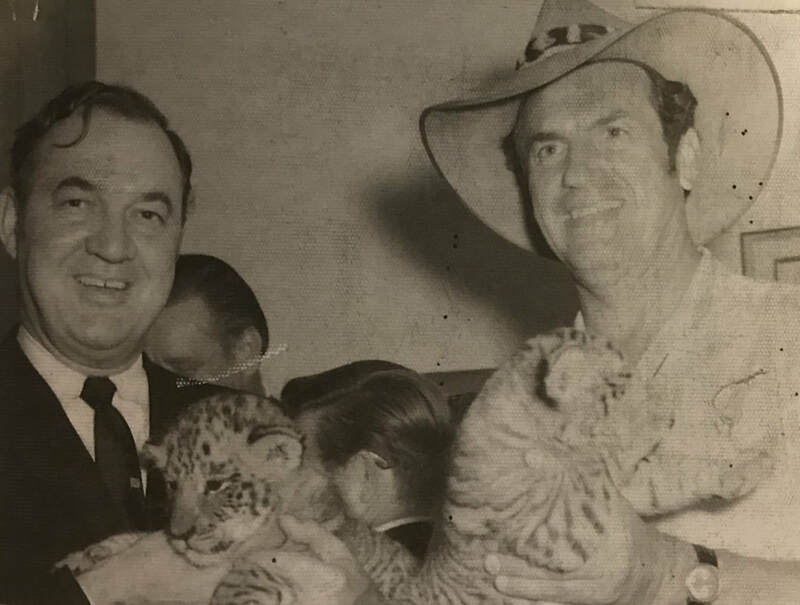 During the era the tiglons were born, coats made of leopards and tigers were still a fashion choice and even Larry occasionally had some animal fur accented on his hat or coats. (Noting the losses caused by these fashions, Larry would later try to influence audiences by saying that the cat's fur looks better on its original owner.) 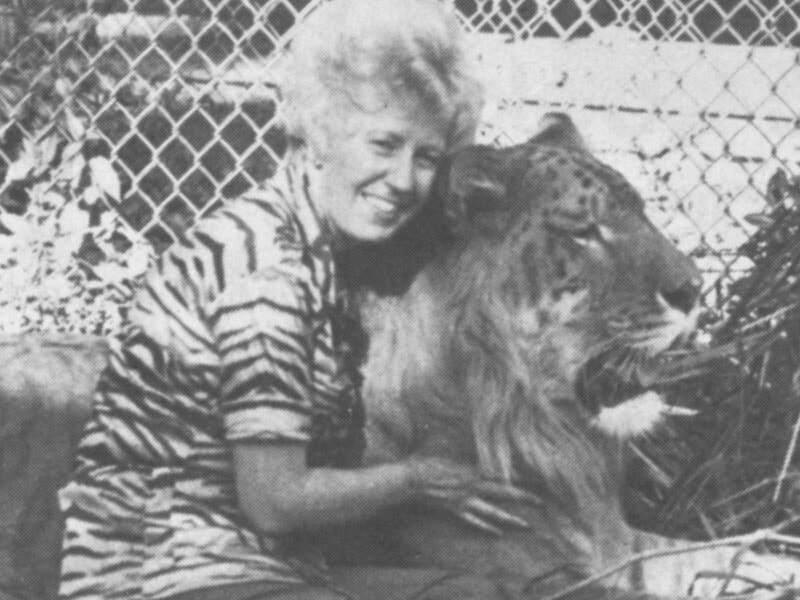 With the rapid loss of species in the decades since, space in accredited zoos like Naples Zoo is dedicated to maintaining assurance populations for purebred species like the South African lions or the critically endangered Malayan tigers that can be seen there today.